Hey! So today I wanted to talk to you about something close to my heart, travel, but within the UK! I love London because it's great for staycations, vacations and also, business trips. People come to London for all sorts of reasons and one of the main questions I'm asked? Where should I stay in London? I'm about to tell you! For me, London is work, play and relaxation and I'm glad I can talk you through the top hotels for everything. Today, inspired by the Diners Club Card, one that gives you so many advantages if you visit London, I'll be talking you through my ultimate places to stay this Winter in London. Whether that's for a lovely Valentines weekend, a Mother’s day weekend or, during the party season - I've got you covered. I recently got myself a Diners Club card and it is really great if you do travel a lot. It gives you access to over 700 airport lounges worldwide, and there is a Diners Club app that gives you helpful tips such as an ATM locator, tipping and currency converter, and more. 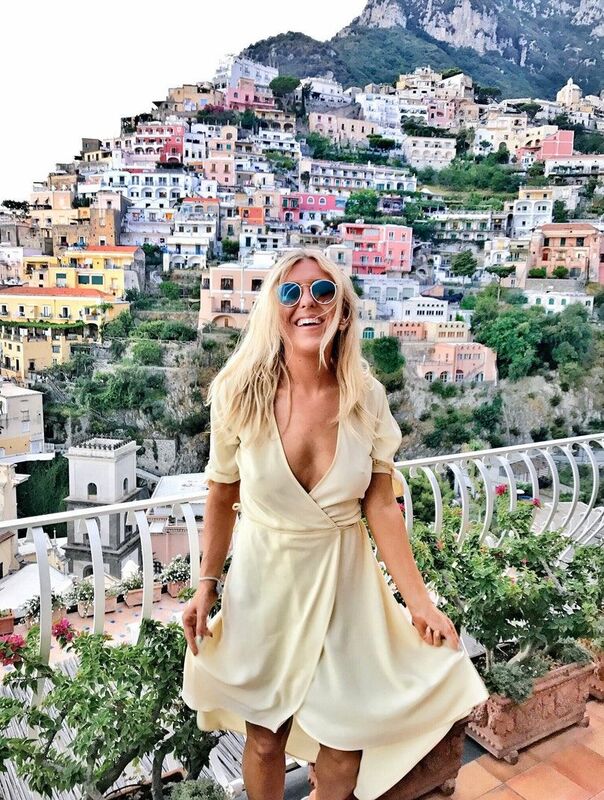 It's not just in London either -- but I thought it would be nice to do this blog post about a city where I have seriously stayed in so many hotels! Learn more at DinersClub.com. The London Edition - You may remember me staying here when I met Kourtney Kardashian. I also stayed at The Edition in New York. It's one of my favourite hotels purely for service alone, from the minute you pull up in your car, someone is opening the door for you and taking your bags. Your bags will be taken from you and you will be walked to the front desk. The front desk staff at The Edition are always the most professional. They go out of their way to ensure everything is slick. The hotel itself is really cool, clean but modern and simple. It's such a beautifully designed hotel and nothing is too much trouble for them. I feel like a princess every time I stay there. It's in a great location if you're looking to be a 5 minute walk from Oxford Street too, you're pretty much on Oxford Street when staying here. You really can't get more central than this but it's still nice and quiet down a little side street. 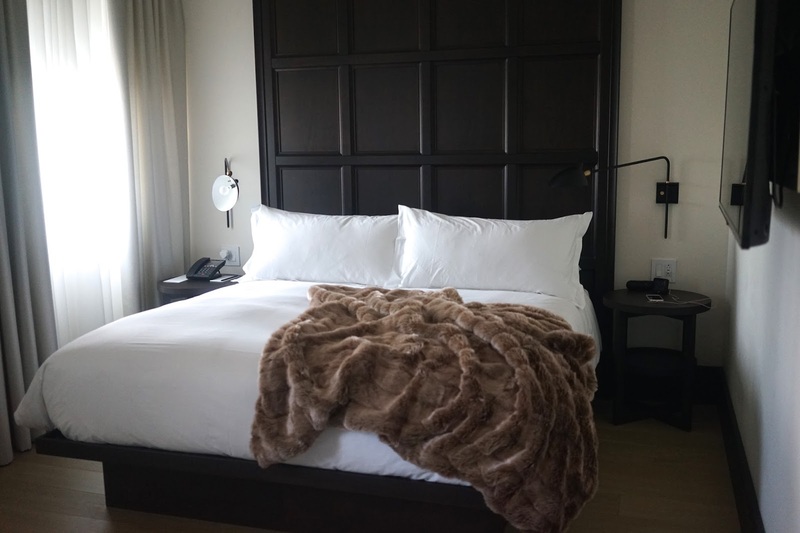 Read my full review of the London Edition hotel. Le Meridien Piccadilly - Matt and I always say this is still one of our favourite hotels to date. We are just obsessed with it. When luxury meets old school glamour, you get Le Meridien. Owned by Starwood, my absolute go-to chain of hotels for service and style, this hotel really blew me away. It's huge for a London hotel room in such a prime location. We keep saying just how much we're wanting to go back here as it really is beautiful in every way. It's again, in an amazing location and is perfect if you're wanting to be near Regent Street. I find Le Meridien such a luxe hotel, from location, to service, to style. 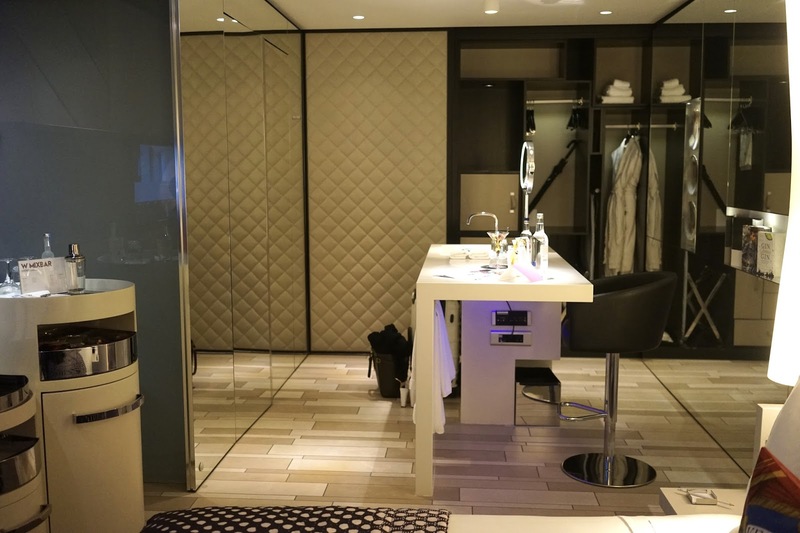 You feel looked after the minute you walk into your room, from the cocktail making kit in your room on arrival, to the beautiful, luxurious bar downstairs - you'll feel like you're oozing with luxury at this one. 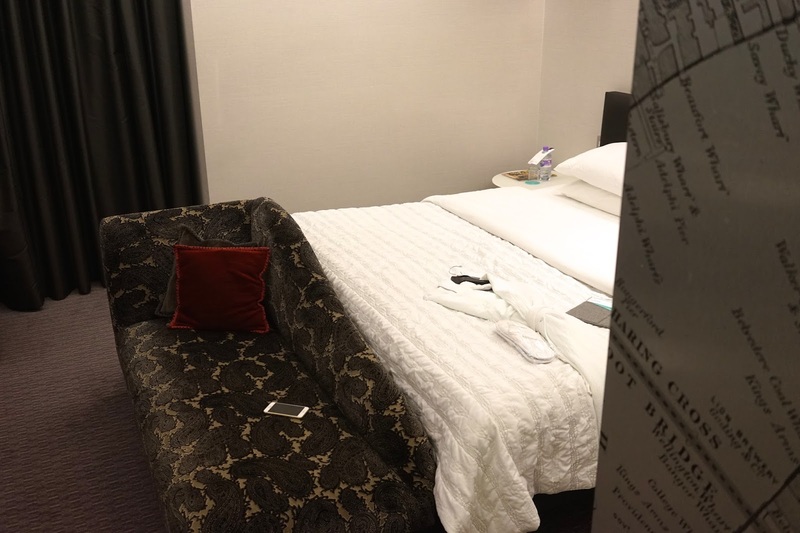 Read my full review of Le Meridien Piccadilly. Mondrian London - I stayed here after an event once and absolutely loved it. 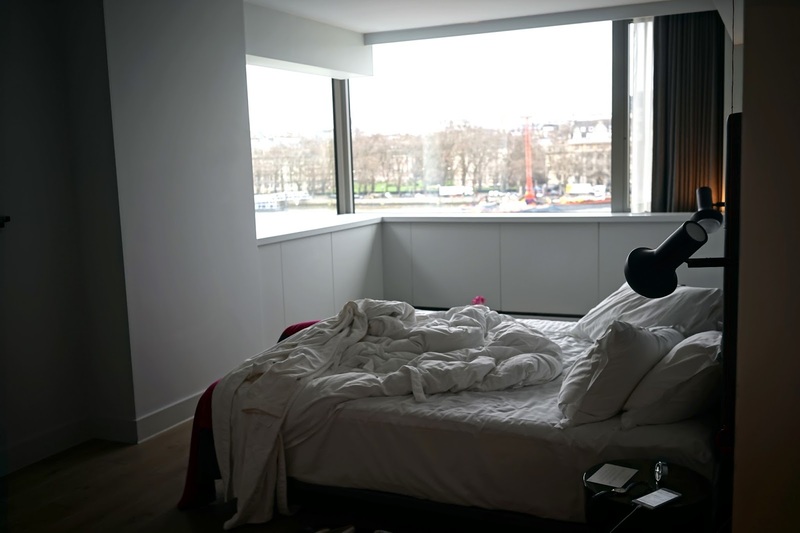 My room was more like a suite, with views over the whole of the thames. A little further out, but equally beautiful, you feel like you're really in the city. It's actually in one of my favourite areas of London, the Southbank area. I find it so relaxing. I loved staying here because it felt so quaint, watching the hustle and bustle of London go by from my window but you're still really close to Covent Garden and other areas of London with easy access via the bridge. It's a very large but beautiful hotel. Don't forget to read my full feature on the Mondrian London. W London - W Hotels are epic in every single country from experience. I stayed in the W in Guangzhou, China and was blown away. I also have the Barcelona W firmly on my list. 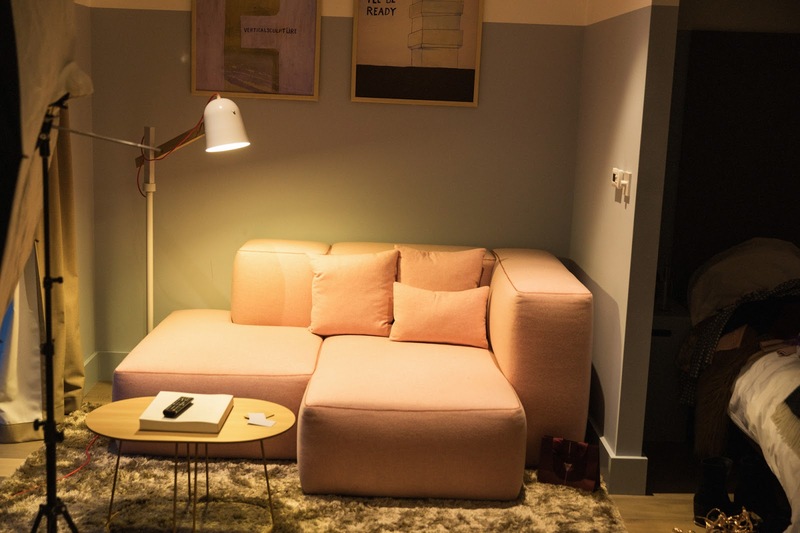 Whilst the rooms in the W London are very small and actually, the smallest on this blog post, they're compact, quirky and seriously cool. We're talking the most modern of rooms, you definitely don't open curtains in W hotels, everything is tech savvy with the touch of a button. The W really push the boundaries of traditional hotels and make everything exciting, electric and just generally fun. It's definitely the cool place to be seen in London, you're surrounded by disco balls and incredible cocktails (I've heard they do an amazing but quirky afternoon tea too). The new suite they offer certainly isn't small though, their mega suite, with revolving chairs, a DJ booth and your own mega bar?! This is my dream come true (you can see some of it in my most recent vlog). Location wise? Bang in the middle of Leicester Square, there's a reason this place gets booked up! It's prime, with China town next to you on one side, Soho a minutes walk away and then shopping all around you. You can read my full review of the W Hotel London online here. Leman Locke - I also love serviced apartments, in particular Leman Locke. They're absolutely stunning and make me feel so relaxed. I've never seen such beautifully designed apartments and they're so roomy too. I love Leman Locke by Saco apartments so much, I want to move in. Seriously. I wish they did a rate for people like me who want to stay there two nights a week, I'd happily be a resident here. The Arch London - One of the cleanest hotels with the best service. The Arch is in possibly the best location, just a few minutes walk from Oxford Street but tucked away on the most gorgeous London street. Imagine white town houses. The staff cannot do enough for you and the rooms are beautifully British. 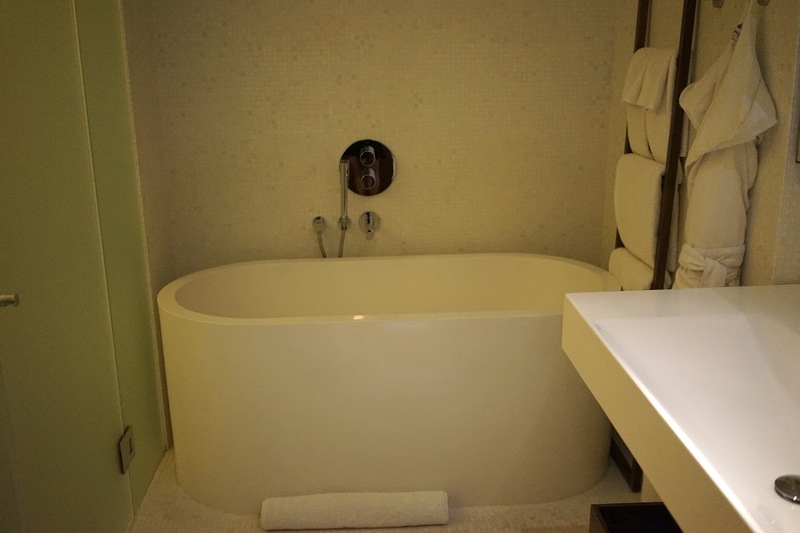 We stayed in the most stunning suite and were blown away by the size of it and the amenities. It really was the staff that blew us away here though. 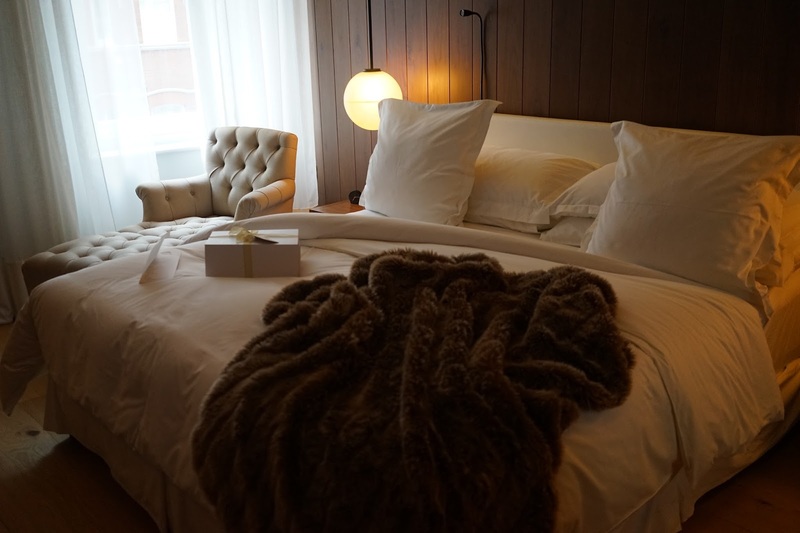 This is such a beautifully luxurious stay and I can't recommend it enough. You can sign up for the Diners Club card here and find more privilege offers here. Do you ever stay over in London? Do you like these hotels? Have you stayed at any? What are your top London hotels? Read my travel section online here for some travel inspiration! *I worked with Diners Club card on this post but as always, it's 100% my honest opinion.